The autumn colors this year have been spectacular! The light has been amazing and the colors have been so fun to capture. Here in the northeast, the autumn colors are a regular treat, though some autumns seem more remarkable than others. There are very scientific, change of season type, reasons why the leaves change color and drop from the trees that you can brush up on here. If it’s been a dry summer, the autumn colors are often rather dull. If it rains or snows a lot early in the season, the show is cut short. I think one of the reasons this year has been so spectacular is the amount of sunshine that we’ve had. It lights up all those colors and makes them glow. I’ve taken a few days during this time to get out, with camera in hand, and immerse myself in all that light and color. For me the color and light are more like paints to be applied to canvas. I like to play and add movement and texture to create images that show them in ways that our eyes don’t see. The challenge, for me, is how to capture that beauty in ways that cause us to see it in a new way. The autumn colors in these images all include leaves in some way. I’ve used camera movement, changes in perspective, and shallow depth of field to emphasize the colors and light. Part two, next week, will be images that feature water with the autumn colors. What will you do this week to see your world in a new way? It would be great if you would share this with anyone you know that might be interested! Thank you! 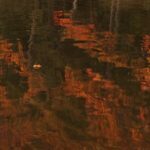 This entry was posted in Open to Delight, Seeing and tagged Colors, Fall Colors, Nature, Play, Reflections, Trees on November 4, 2015 by gail. It’s a good thing that I love working with Painter so much, because spending beautiful upstate NY July days indoors when I was 100 yards from a lake would not be my normal choice. But in the evenings, I took the time to get closer to the water and enjoy the summer breezes, the activity of the boats and the fishermen (and women) and the colors and light of the lake and to just play with my camera. What are you doing to soak up these summer days? This entry was posted in Filling the Well, Seeing and tagged Clouds, Colors, Nature, Play, Reflections, Water on July 29, 2015 by gail. Hamilton College is located in Clinton, NY, the village where I live. 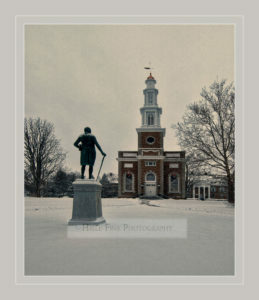 I went out early one cold January morning last year to capture this iconic building and statue of Alexander Hamilton. There are some adjustments that I made to the image during processing in Photoshop that achieved this timeless quality. 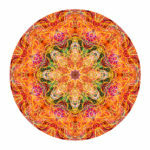 I probably created close to 500 mandalas this year as I explored this art form. So it is natural that there would be a few mandalas in my top 10. 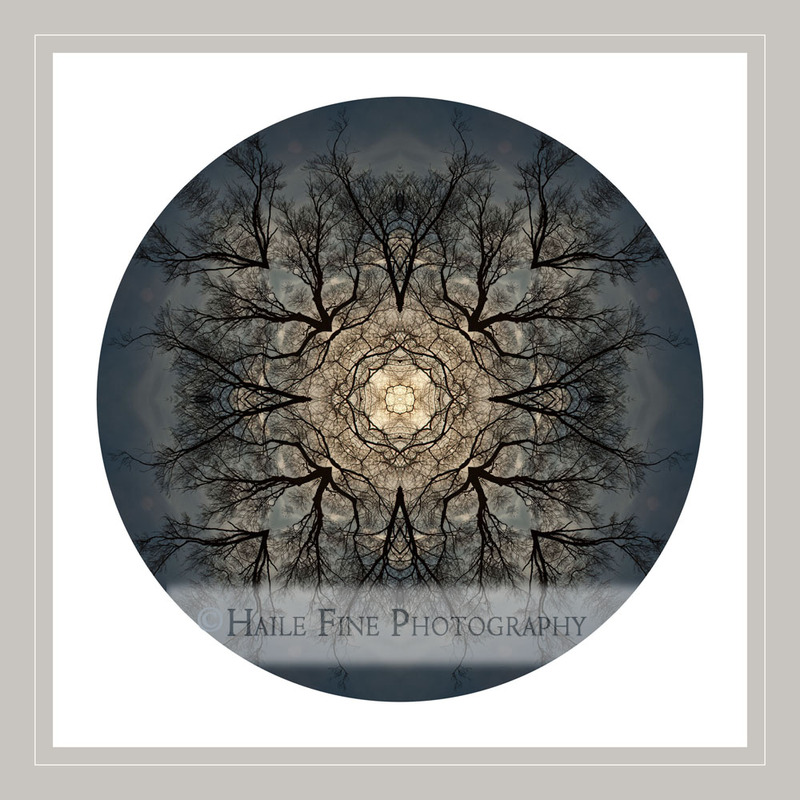 The original image for this mandala was taken on a grey March afternoon that produced some of the most amazing cloud formations I had ever seen. The sky looked like rolling ocean waves. I liked the contrast of the bare tree line against the clouds. 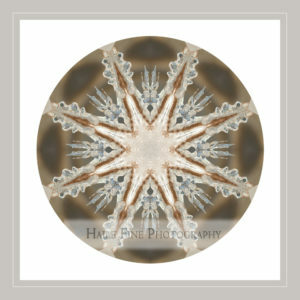 It is one of the few square mandalas that I’ve created. I gained a new appreciation for the shapes and lines of bare trees last year. I would constantly be watching for interesting shapes in trees and waiting for a day that might produce some interesting color in the sky. Even with that forethought, there is always an element of surprise when I mandala comes together on my screen. This mandala is probably my favorite of all the mandalas that have been created. Something about the color, the pattern, and the quality of the light resonates with me. The original capture on this image was in 2008, but I feel like I should include it in the 2012 favorites because that was when I finally was able to pull out the true image. When I shot this originally, I knew there was an image there, but the raw file was a bit flat and lacked punch. I played with the image over the next 4 years quite a bit and have at least 6 different versions of it. After a couple of very instructive classes in 2011, I had a better idea of how to make the image reflect what I saw and felt when I was in that place. I used that knowledge to prepare the image for competition last spring and was happy that it did very well, earning a Court of Honor award and being included in the PPA International Photographic Competition General Collection. So, yes, this is one of my favorites of 2012. Sometimes, it just takes a while for the true image to be revealed. This post is actually the first time this image has been shown, but it still ranks as one of my favorites from last year. We were visiting family in Switzerland at the end of the summer and spent a day in St. Gallen, a charming city in the northeast corner of the country. 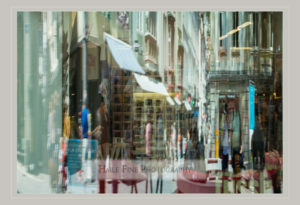 As we walked past a book store, I was struck by the reflections in the store’s large front window. I love all the bright colors and the double exposure quality of the image. To me it is also similar to the way dreams appear. During that same trip to Switzerland we drove up into the Alps, through several amazing mountain passes where the roads snaked their way up one mountain and down another several times. As we turned a corner at the top of one of these passes, a beautiful scene presented itself on the opposite shore of this lake. There was a small village, complete with a little church, that was beautifully highlighted in fog. In the 30 seconds it took to stop the car, the fog had completely enveloped the village as you see here. Five minutes later the fog had streamed like a waterfall across the lake and enveloped us as well. For some time, I have been intrigued with long exposure photography. Instead of the usual fraction of a second that is used to capture an image, with long exposures, you leave the shutter open for anywhere from 10 seconds to hours. With long exposures, as with the mandalas, I always feel like something is revealed that was always there but we couldn’t see it with our usual way of looking. This image of Lake Ontario was one of my first real attempts with this style of photography and I was extremely pleased with the results. I plan on exploring this technique a great deal more this year. Before I began this blog and specifically Mandala Mondays, creating mandalas was usually something I did when I couldn’t sleep or just needed to calm myself for a few minutes at the end of the day. 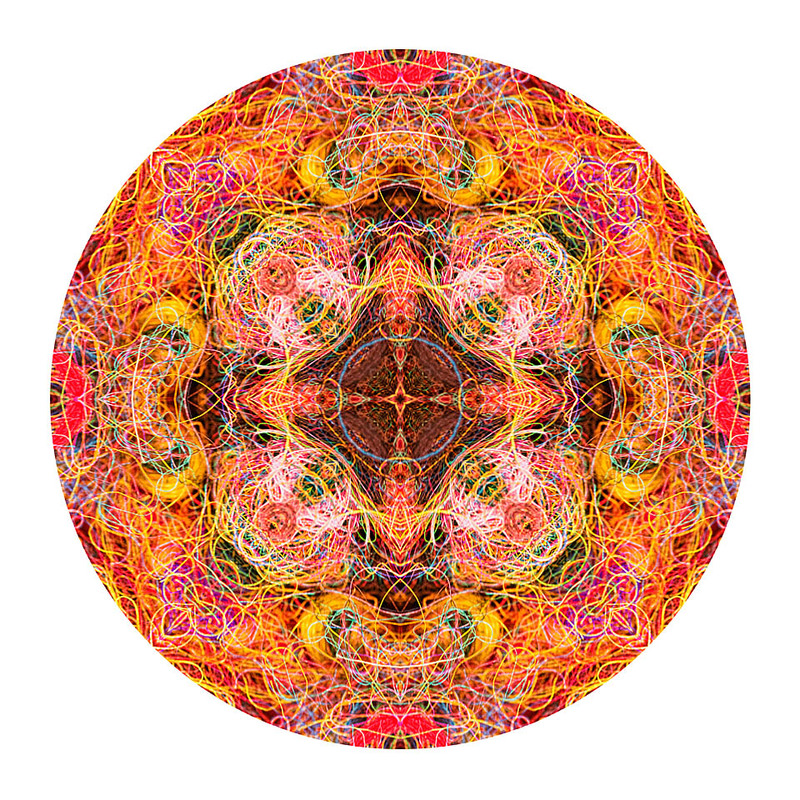 That is still the case sometimes, but I truly like that Mandala Mondays give me a reason to intentionally sit and create new mandalas each week. I often make twice the number that you see on a Monday. 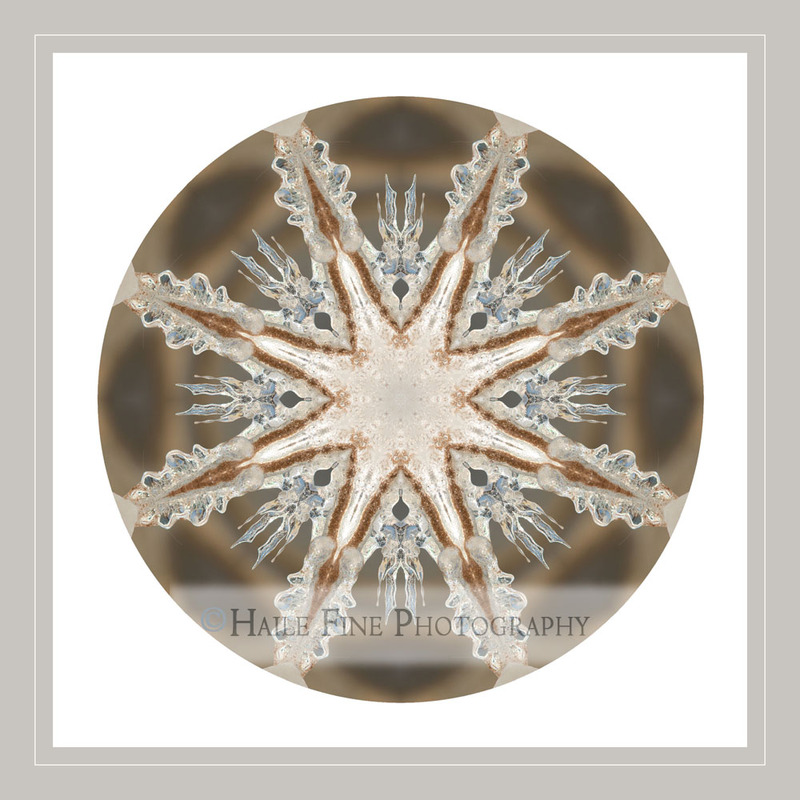 This one, created with an image of an ice encrusted branch, was probably one of the last ones created in 2012 but is one of my all time favorites. It reminds me of a crocheted snowflake. There’s no lofty reason why it pleases me that I can discern. It just makes me happy. Sometimes, that can be a good enough reason. This was an interesting exercise to review and revisit images from last year. It helps to see where I might be going next. I have a myriad of ideas about images I’d like to create this year and hopefully ideas that are yet to emerge. I’ll continue to share as I follow where those ideas lead. This entry was posted in Celebrating, Seeing and tagged Celebrate, Clouds, Colors, Creativity, Gratitude, Inspiration, Lake Ontario, Long Exposure, Mandalas, Nature, Switzerland, Water on February 14, 2013 by gail. We traveled to North Carolina this past weekend to visit family. I was reminded of visiting a couple of years ago in December when we went to Daniel Stowe Botanical Gardens outside of Charlotte. Being from the north, it was odd to me that a public garden would be open in the winter. Here in the cold northeast, such public gardens usually close around the Columbus Day. Not only was DSBG open, they are famous for their beautiful Holidays at the Garden light display woven into a truly amazing example of landscape and garden architecture. If you are in the Charlotte area at any time of the year, it is well worth the trip. I had not brought adequate camera equipment to “properly” photograph the gardens but decided to have a bit of fun with the basic camera that I had. I photographed the lights and the garden by either purposely putting it out of focus and/or purposely moving the camera while using a longer shutter speed. It was so much fun to “break the rules”. 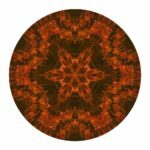 Those images have just been sitting on my hard drive until today when I remembered them and decided to use a few to create some mandalas. The first few were just OK in my mind, there were several that I didn’t even save. However, I really love the ones that use the image of the twisted trees with lights on them (6-9). The original image was made by rotating the camera during the exposure. I like the light on the crepe myrtle trees and the blue of the just darkening sky and the white lights that were hanging in the trees. 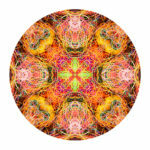 All that gives the mandalas more dimension. 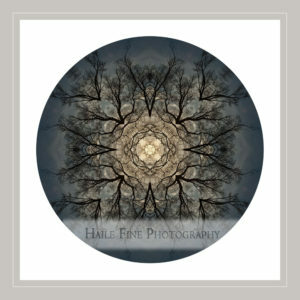 And, I almost always like mandalas better if they include some bit of nature. What do you think? How have you broken the rules lately? This entry was posted in Mandalas, Practicing, Seeing, Stretching and tagged Colors, Creativity, Daniel Stowe Botanical Garden, Lights, Mandalas, Patterns on December 3, 2012 by gail. 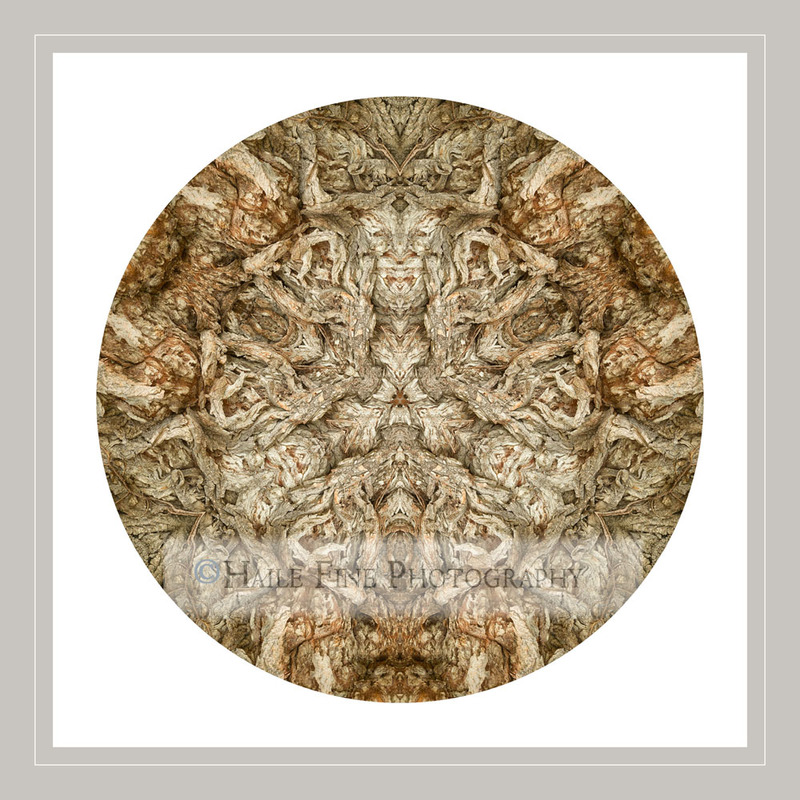 Usually I like to create mandalas from images of nature. I thought I would try something different this week. 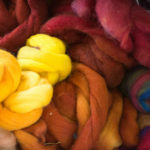 If you read my last blog post about inspiration then you saw just a few of the images that I took while I was soaking up inspiration at a friend’s fiber studio. It struck me that it might be interesting to see what sorts of mandalas come out of those fiber images that were so filled with colors and textures. These are not like anything I have ever used before and the mandalas are so different also. It’s fun to experiment. I love the soft feeling in the wool batting. The threads made into mandalas look very electric to me almost like neon signs. What do you see? This entry was posted in Mandalas, Practicing, Seeing and tagged Colors, Fiber, Inspiration, Mandalas, Patterns on November 12, 2012 by gail. Inspiration is vital to maintaining any sort of creative flow. It is also what keeps life interesting. It had been suggested to me that people might be interested in where and how I get inspired, all the little (sometimes big) things that come into my life and provide some inspiration. It’s not always immediately evident where that inspiration may or may not lead but it’s all fuel for the creative process. All 5 of these are part of the ongoing garnering of creative inspiration, even the last. Often, something that inspires me to a new idea does literally feel like breathing in. As I was thinking about this post, knowing that I wanted it to be an ongoing series I was searching for an appropriate title. In a quick break (otherwise known as procrastination) I decided to check out Facebook for a few minutes. On the Superhero You FB page was this question, “What inspired you today?” That’s a perfect title, I thought, not just what’s inspiring me but a conversation about where inspiration comes from and all the different forms it may take. So that’s the foundation of what I hope will be an ongoing conversation about what inspiration looked like and where it came from, at least for today. Tomorrow it may be something else. The images that follow are from some time that served as inspiration for me a couple of weeks ago. One thing I know that I need to do to stay inspired is to be with other creative souls no matter what their art form may be. 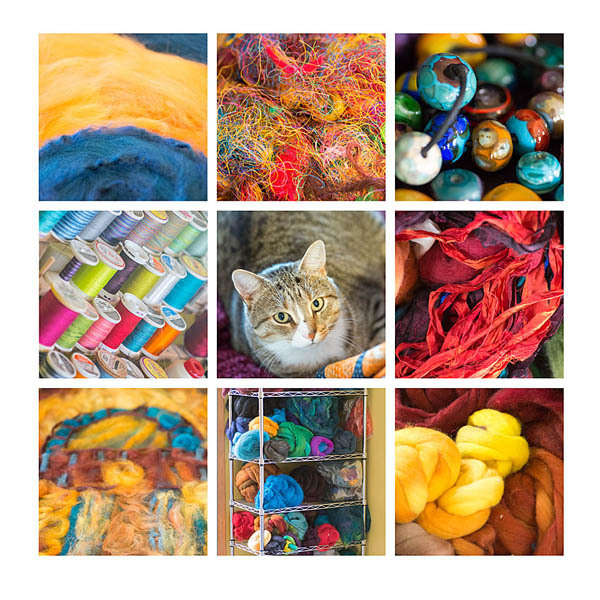 A friend of mine is a fiber artist as well as a most creative and generous soul. 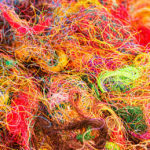 She invited me to spend an afternoon in her studio playing with fibers and/or just observing. Being in the presence of other creative minds as well as being surrounded by the “stuff” of her art always opens up the creative pathways. These are just a hint of the explosion of color and texture and creative energy that I experienced that afternoon. So, what inspired you today? 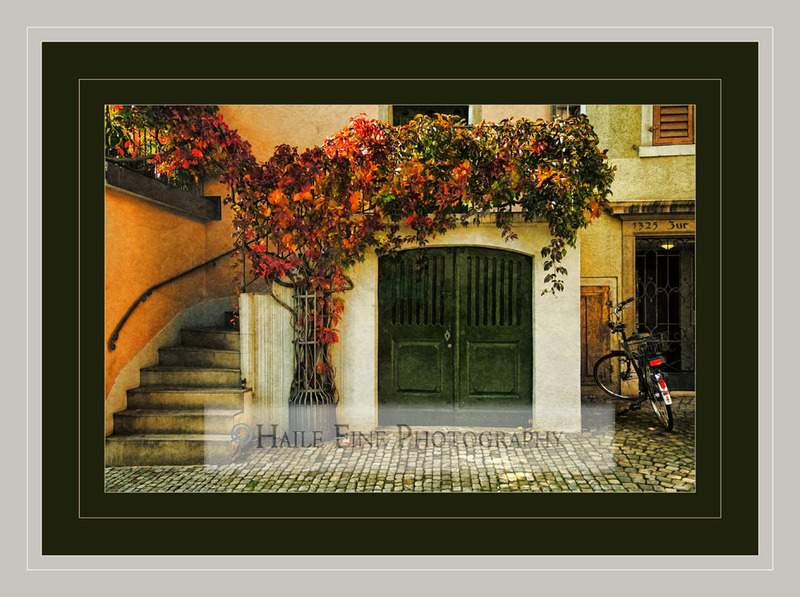 This entry was posted in Practicing, Seeing, Sharing, Stretching and tagged Colors, Fiber, Inspiration on November 8, 2012 by gail. I thought we were done with Fall colors but I came across this image the other day and thought it would be interesting to see what sorts of mandalas it might create. 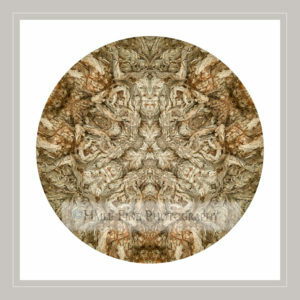 It’s not the sort of image that I have used before for mandalas. The original image is of leaves reflected in water. I took it while kayaking at one of my family’s favorite places, Piseco Lake, NY. Not really sure what I think of them other than that they somehow remind me of blankets that Native Americans weave. What do you think? 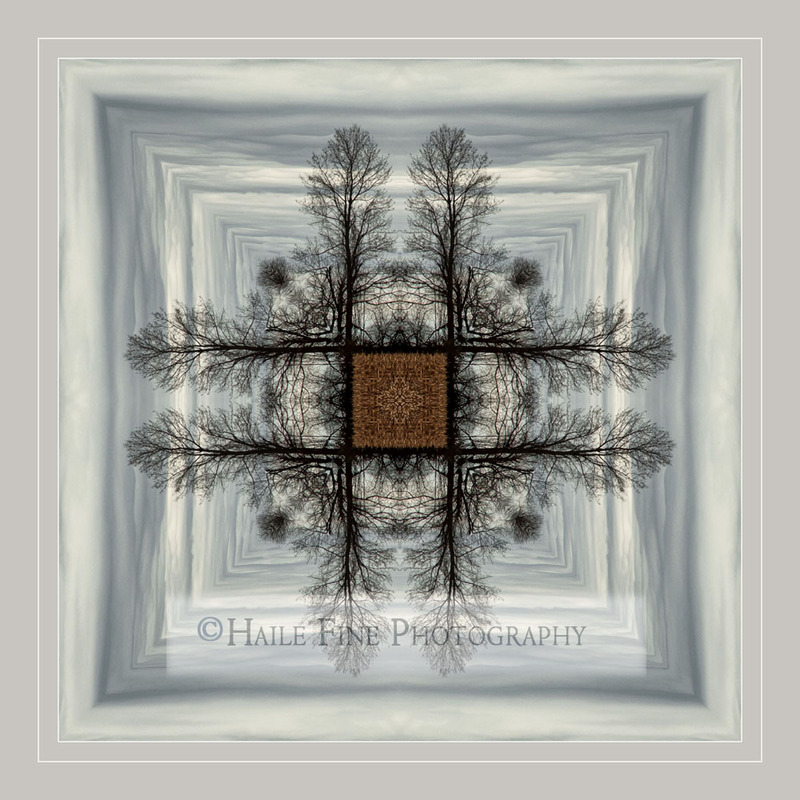 This entry was posted in Mandalas, Practicing, Seeing and tagged Colors, Fall, Mandalas, Nature, Water on November 5, 2012 by gail.